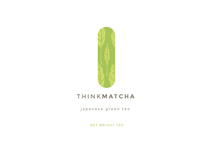 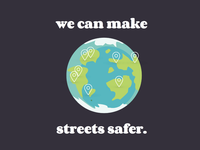 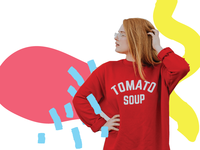 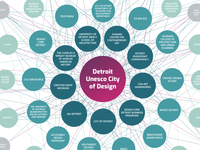 Designer/illustrator/letterer working out of Detroit and sometimes Ann Arbor. 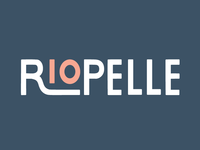 Founder of Gratiot & Riopelle type project. 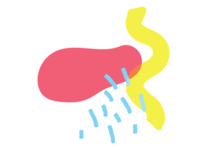 jewel photo illo — Abstract illustration for Jewel's pitch in 2017. 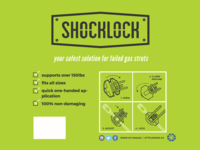 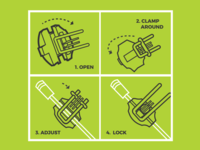 Shocklock Logo — Logo for Shocklock, from the first Techstars Mobility class. 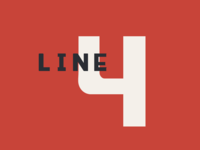 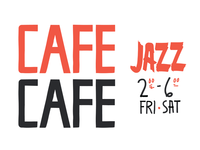 line four type ideas — Experimenting with type for coffee shop branding. 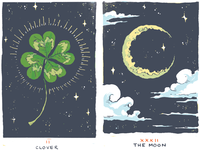 Lenormand Cards — Recent progress on a Lenormand set. 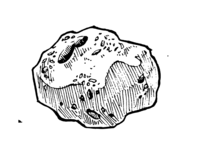 Asteroid — Part of the branding for earth and asteroid jewelry. 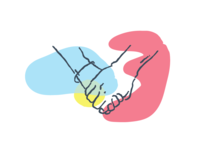 cycuro refresh — A proposal for a slight touchup of cycuro's existing logo. 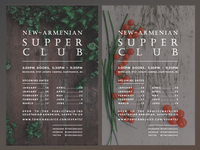 new armenian supper club — Unused posters for New Armenian Supper Club series. 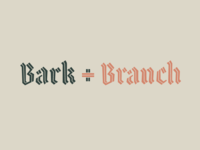 bark + branch — Logo for a theoretical dog toy store my friends and I were discussing. 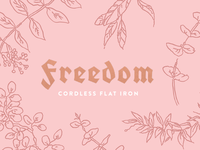 Freedom Flat Iron Packaging — Pretty pink botanicals for Freedom flat irons. 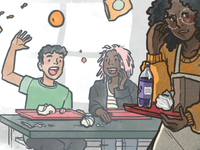 We Are Teachers - Cafeteria Trouble — Editorial illustration for an October column of We Are Teachers. 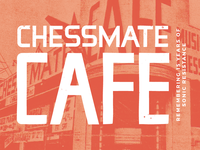 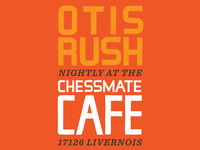 Chessmate Sketches — Some type sketches for the Chessmate Club font project. 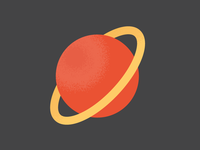 Almost Saturn — Little planet icon for assorted Lunar branding from 2015. 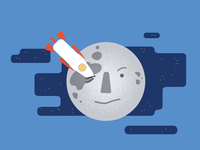 Melies Moon Spot Illo — Spot illustration for Lunar Labs from 2015.